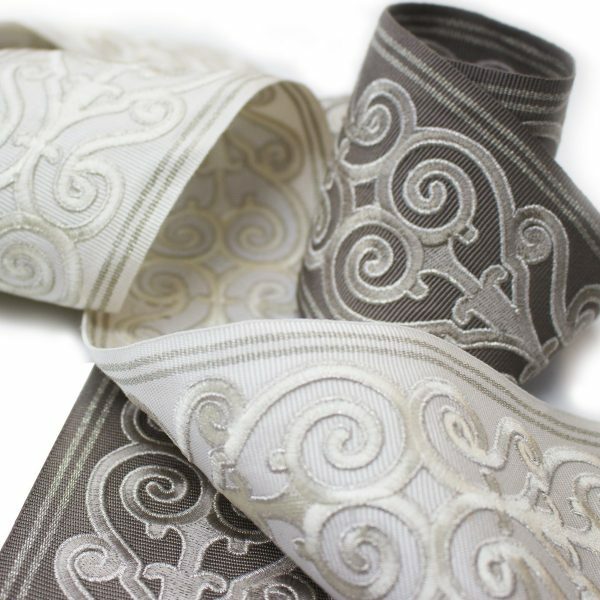 An elegant collection of wide tapes featuring a beautiful scroll pattern etched in luxurious metallic threads. The flowy pattern is classic yet has a fresh, current-day look in popular hues. Ferrara tapes adorn draperies, furniture, pillows and shades brilliantly.